Winters can be long and difficult for flowers, and difficult for people who are flower-lovers. The long winter with no plants blooming can lead people to want to see some life in the snowy weather. Luckily, there are some flowers which can help spruce up your home or garden during the winter months. Both the inside and outside of your home can benefit from the look of these plants, and they may help you get past the “Winter Blahs” just a little easier. 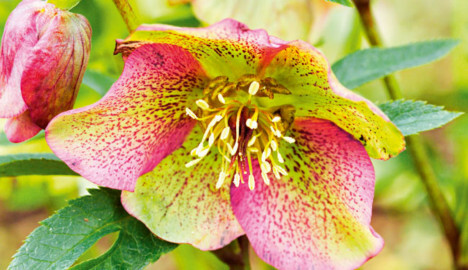 With colourful, long-lasting blooms, hellebores are one of the first signs of the coming spring. Pushing up through snow, these blooms can bring life and colour back to the world at a time when everyone is very happy to see it. Referred to as Christmas Rose or Lenten Rose, the hellebore blooms from late winter to early spring. Their nodding heads, though cute, may make it difficult to use in an arrangement, though they can be popular for use as boutonnières or floral hairpieces, and is one of flower choices for a winter wedding. 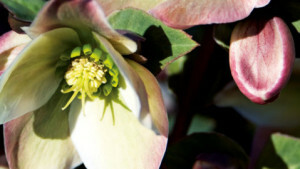 In your home, however, hellebores can be difficult to maintain, and there are several techniques used in an effort to keep them in bloom longer. Some of these efforts include cutting and burning the bottom of the stem, sticking a pin into the bottom of the stem, using hot or warm water and others. Often, people complain about the hellebores wilting quickly in a vase in the home. 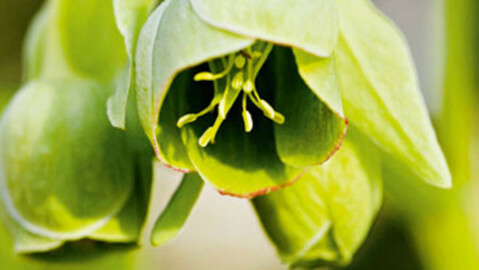 Because of the hellebore reputation for being a plant tolerant of a wide range of conditions, it can be used to brighten shady spots in the garden, or places where you have trouble growing other flowers. Hellebore has a long association with magic, and has been used for healing mental or emotional problems. The Greeks believed that it was a cure for insanity, and it has also been credited with curing livestock poisoning. Ancient people used hellebore to cause other plant’s fruits to become unpleasant or unhealthy by using hellebore as a fertilizer. Hellebore has also been associated with the element of water, along with Mars and Saturn. Hellebores are toxic, so gardeners should use gloves when handling them. This will prevent toxins from being potentially absorbed into the skin from extended exposure. The name of the genus of the flower, Helleborus, comes from the Greek word “to injure,” (elein) and “food,” (bora). There is also speculation that Alexander the Great died of hellebore poisoning while undergoing treatment for an illness. You may also want to think twice if you have pets or children who put things in their mouths, although the bad taste of the plants means they are likely to spit it back out. In order to lengthen the lifespan of a hellebore inside the home, it is always better to use a mature flower, rather than a younger one. These mature blooms, with seed pods formed, are sturdier than earlier in their bloom and will last longer in your home. 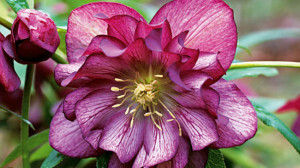 Hellebores have also been known to bloom for an excessive amount of time in a garden. As with all flowers, your vase life may vary, but using these techniques can help extend the life of the hellebore and give you some nice winter décor to liven up your house.